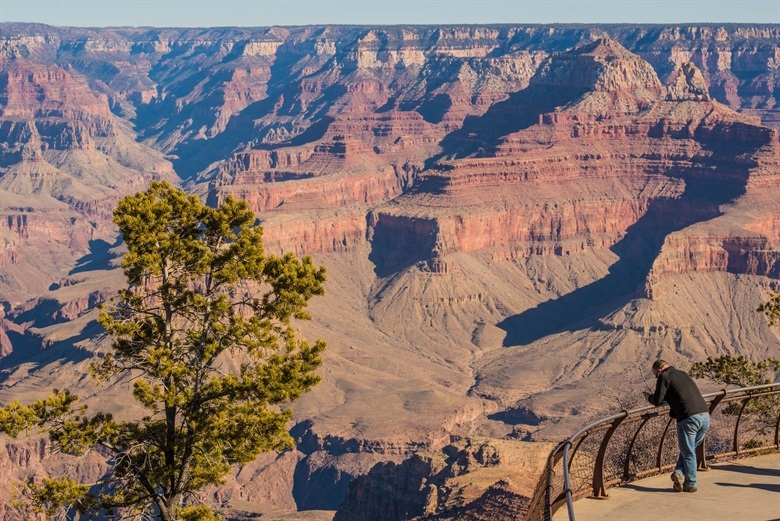 When I was a teenager, my family went on a road trip that included a visit to the Grand Canyon. I don’t remember how old I was, but I had a Walkman cassette player with me to help me pass the time. As we traveled I wondered what the Grand Canyon must be like. I had a general sense of its reputation, but I didn’t remember seeing any pictures. Based on the name, I thought it must be amazing, even magnificent. My anticipation grew as we drew closer. Aware that I was about to experience one of earth’s greatest wonders, I suddenly had an idea for making the most of the experience. I happened to have a tape of Beethoven’s 9th Symphony with me. I remember pressing the rewind, stop, play, and fast forward buttons repeatedly to cue it up to just the right spot. Then, as we arrived and were walking up to the lookout point, I pressed play, then pause . . . not yet . . . , then PLAY! I walked up to the edge, saw the incredible view, and listened to the moment in Movement IV, “Ode to Joy,” when the full choir powerfully delivers one of the most exultant melodies ever composed. 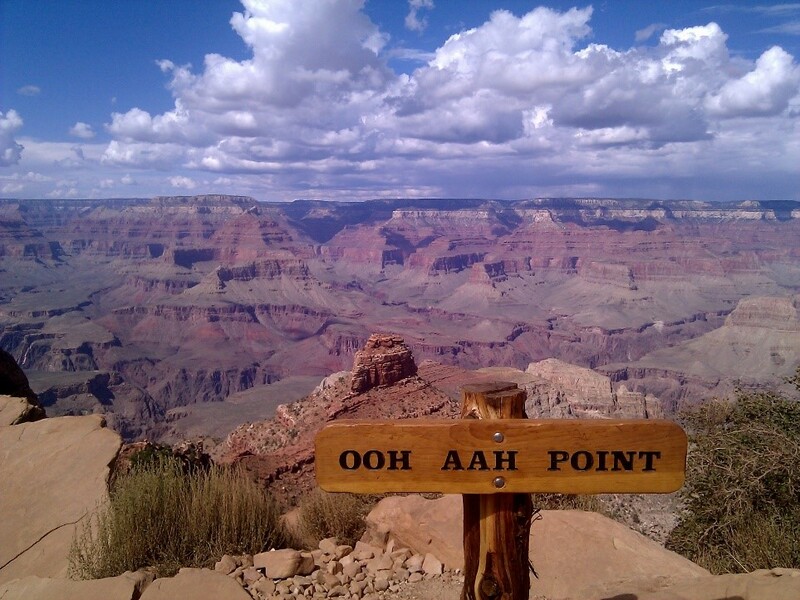 Not far from this spot is a place called “Ooh Aah Point.” I think it’s a perfect name for the whole South Rim area. Moments like these are what my wife and I like to call Golden Memories. But, what makes them golden? We know they are great, but why are they so great? For me (once I stopped fiddling with the tape player and got settled into the music to savor the view), it was because I experienced a sense of connectedness and meaning. This experience was meaningful because it involved a few of the things I value most: beautiful vistas, inspiring music, and trying out a new idea. My family members, though underappreciated at the time, were also important to me, and were part of that memory. Our values are the things in life that we have set our hearts on. They are part of our core and tend to stay with us despite the changing circumstances we face. They drive our motivation, our joy, and our satisfaction. In their absence, or when we make decisions contrary to them, we experience our greatest disappointments, frustrations, and sorrows. The more we understand them, the more we understand ourselves and the better equipped we are to make decisions about our future. It’s possible to make plans for our lives in a way that focuses mostly on our money and what it can buy without paying much attention to our values. There are so many things in life that are begging to consume our time, money, and attention, that sometimes it’s hard to keep track of or remember the things we want the most. Maintaining or discovering that clarity can be particularly difficult when we feel besieged by the instability and uncertainty of major life transitions. What have been some of your favorite look out points or “Ooh Aah” moments in your life? In what situations have you felt a sense of connectedness and meaning? What do these experiences have in common? What do they tell you about who you are and what you most value? It takes considerable work to think through an intentional life plan that coordinates appropriate financial tools, tactics, and strategies in a way that’s focused on an inspired and meaningful life. Let us help you get started on defining what an inspired and meaningful life looks like to you.